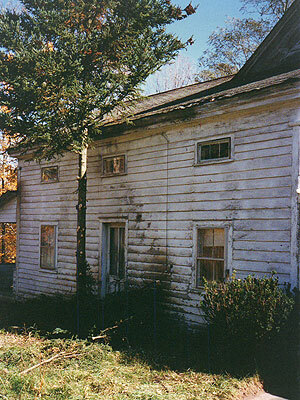 The original 1840s Greek Revival facade was carefully restored and original clapboards maintained. 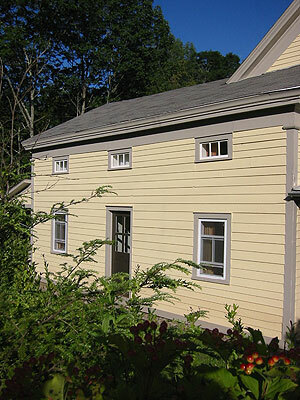 The gutter was removed and moldings copied from elsewhere on the house were custom milled and reinstalled. A berm was created and planted with heritage shrubs to shield the house from road traffic that has increased some since the 19th century.